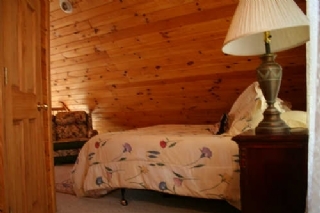 One of our most Romantic Chalets! 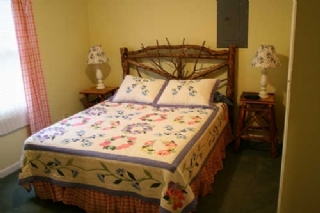 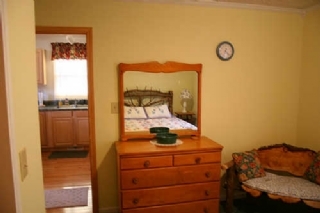 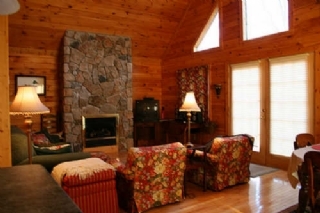 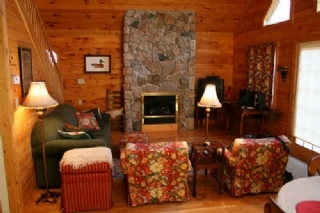 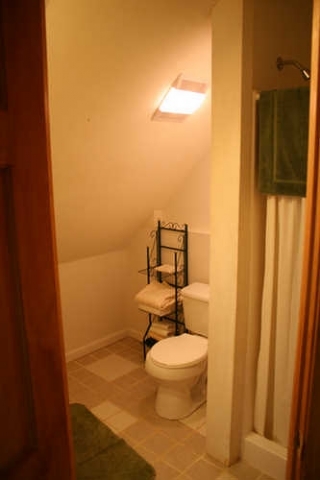 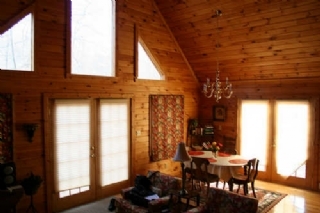 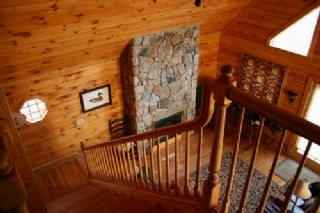 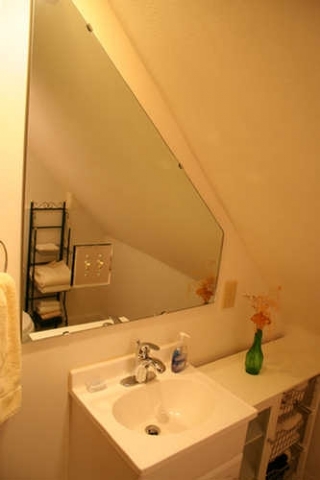 Hawks Nest is a very nicely decorated all-wood chalet within 15 minutes of Biltmore Estate and Downtown Asheville. 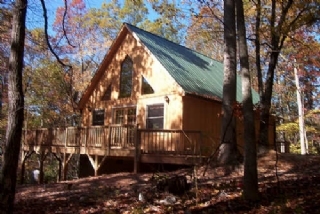 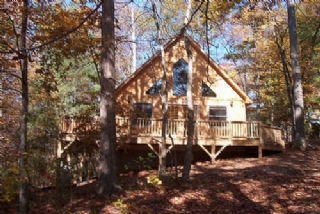 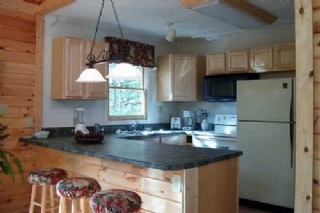 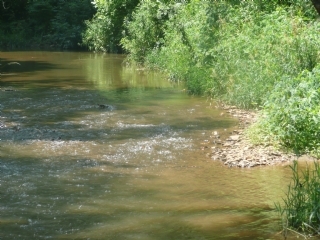 Situated on 16 acres of woods you'll have just a short walk down to the fast moving creek, fishing hole and campfire pit. 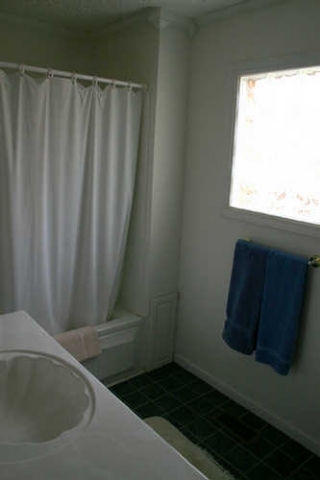 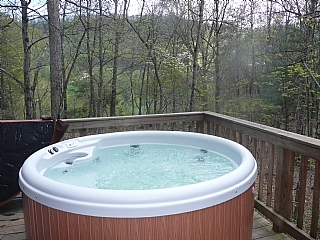 Relax in the lovely outdoor hot tub or enjoy the jetted indoor tub to soothe muscles tired from shopping or hiking! 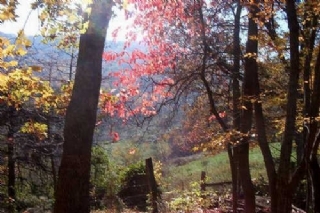 The fall leaves are a visual feast usually throughout the month of October. 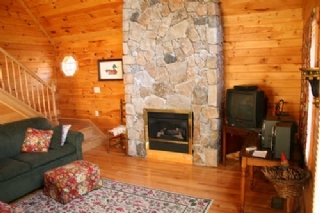 And there's a cozy gas log fireplace (can use between September 30 and May 1) to add to the ambience. 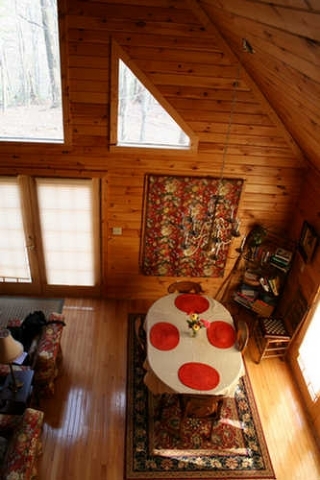 Lake Powhatan, Bent Creek hiking and mountain biking and the beautiful N. C. Arboretum with formal gardens and nature trails and a magnificent bronze native American brave are just 10 minutes away. 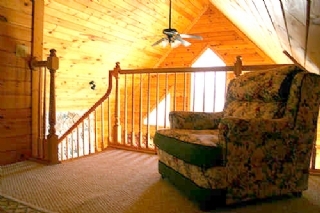 Skiers will love being within 25 minutes of Cataloochee Ski Resort just to the west. 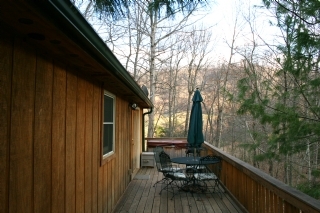 You'll enjoy close mountain views through the trees and huge decking on 3 sides of the chalet.